print "Level order traversal of binary tree is -"
Time Complexity: O(n^2) in worst case. 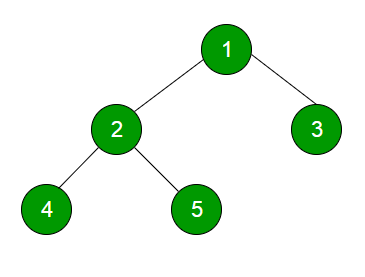 For a skewed tree, printGivenLevel() takes O(n) time where n is the number of nodes in the skewed tree. So time complexity of printLevelOrder() is O(n) + O(n-1) + O(n-2) + .. + O(1) which is O(n^2). Here is a simple implementation of the above algorithm. Queue is implemented using an array with maximum size of 500. We can implement queue as linked list also. /* poll() removes the present head.